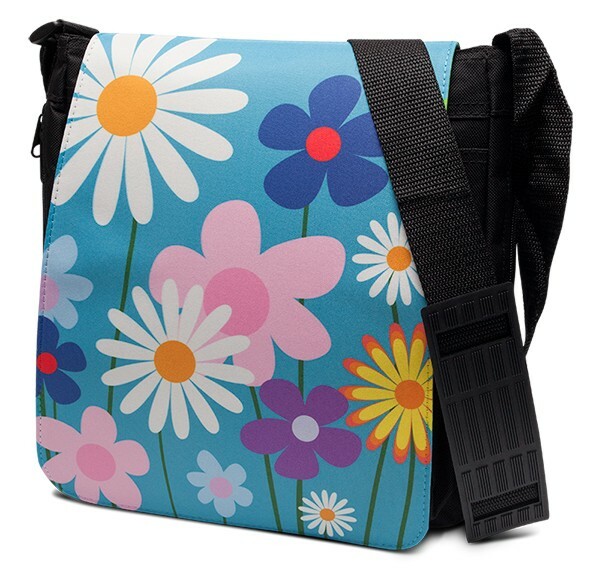 Personalised full colour hardwearing material Medium Shoulder Bag. The shoulder bag measures 12.5” x 9.5”. The entire front flap is ready to be personalised by you! Personalise with a full colour photo/picture of your choice and add text if required. It comes with an inner compartment with zip fastening and shoulder strap.